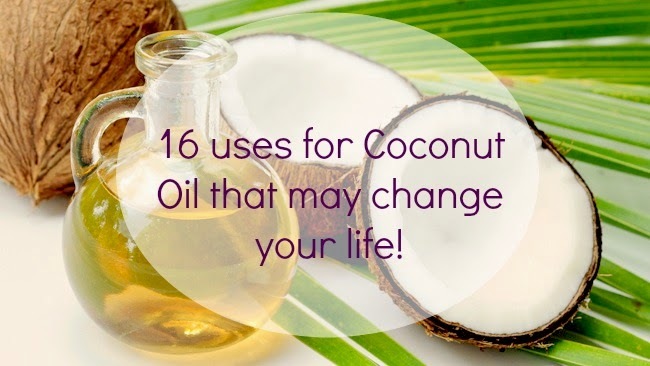 In my quest to use all natural beauty products, I’ve found that if there’s one product that is the all singing, all dancing, holy grail of natural beauty, it has to be – Coconut oil! 1. Hair conditioner: You can use pure coconut oil or products using unrefined coconut oil. My favourite product is Palmers coconut oil formula. Leave the oil (whichever way you like it) on your hair as an overnight conditioner/hair mask. 2. Cuticle oil: Soften your hands during a manicure with this cruelty-free moisturizer. Mix it all together and voila! I love this scrub as it’s scent is a lot less stronger than other drug store products I’ve previously purchased. 4. Deodorant: If you ever find yourself stuck on a desert island and running low on toilettries, the one thing you don’t need to worry about is smelly armpits. Yep, that’s right You can use coconut oil by itself as a deodorant by slathering it on to your pits. 5. Toothpaste: Speaking of toilettires, by combining equal parts baking soda and coconut oil you can use the mixture as toothpaste. If the taste is unpleasant, some artificial sweetner or sweet essential oils will do the trick. 6. Lip Balm: If like me, you’re slightly freaked out about lip balms having beeswax in them or putting petroleum jelly on your smackers. Here’s an easy alternative – use some coconut oil. You’ve now got yourself a vegan, cruelty-free lip balm. 7. Frying Oil: For more healthier cooking, try using coconut oil in your pan. Your food’s will also taste richer and flavoursome and curries will taste so much better. 8. Shaving cream: You can use coconut oil as an alternative to shaving cream. It leaves your legs more moisturised too! 9. Skin moisturizer: Use on it’s own or make your own moisturizer by adding Vitamin E oil in with coconut oil for a great lotion. Goodbye Ashy skin! 10. Cold sore soother: This truly miraculous oil kills bacteria and helps rejuvenate cells, thus helping pesky cold sores heal. 11. Mosquito bite soother: The same properties described above help heal mosquito bites, too. 12. Moisturizing face mask: Once a week, cover your face with oil before bedtime – don’t forget to sleep with a towel on your pillow!. 13. Shoe polish: Yep! Make that vegan leather shine by softly rubbing a dollop of coconut oil into it with a washcloth. 14. Furniture polish: Why stop at shoes? Coconut oil helps make wood shinier too! 15: Makeup remover: Apply coconut oil with a cotton pad to your eyes and face at the end of the day. 16. Makeup brush cleaner: The oil helps cut through the dirt on the brushes. Is there anything Coconut oil can’t do? !